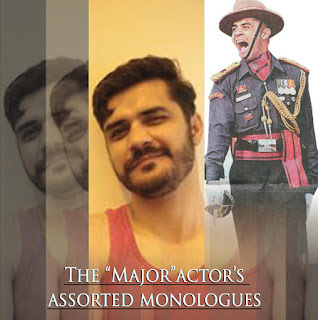 Gurgaon, 23 December 2016:This Christmas, theatre aficionados of the city are in for a treat for aseries of brief monologues titled ‘The "Major" Actor's Assorted Monologues’ produced by Saif Hyder Hasan Creations and recited and enacted by a former Major of the Indian Army and theatre enthusiast- Major Mohommed Ali Shah, on 25th December, 6 PM at Epicenter at Apparel House, Gurgaon . An IIM graduate, Major Mohommed Ali Shah holds your attention for an hourwhile he enacts the speech of popular playwright Mohan Rakesh's most popular play ‘Aadhe adhure’ in Hindi, the story of Odipus and Rex, an ancient Greek tragedy in chaste Urdu, followed by a complicating and a hilarious piece in English where he explains how he becomes his own grandfather. There will also be a few speeches from the greatest play wright in the world, William Shakespeare's popular plays such as ‘Julius Caesar’ and ‘The Merchant of Venice’, Mirza Ghalib's letters, a nazm by popular poet Faiz Ahmed Faiz apart from other monologues and couplets which will grip you and make you hold on to your seats. All in all, ‘The "Major" Actor's Assorted Monologues’is an intellectually stimulating production which encompasses English, Hindi and Urdu readings from the greatest playwrights ever. Its producer Saif Hyder Hasan who has previously produced and directed super hit plays such as Gardish Mein Taare, E kMulakaat and Mr. and Mrs. Murarilal says, “The play has already been staged in Mumbai and Kuwait and received an exceptional response from the audience. Get ready for a complete one man show, with no frills, just the art of storytelling and a voice and modulation that has the capacity to mesmerize all. About Artist: Major Mohommed Ali Shah joined the short service commission in the Army to train as a Commando and was posted at the Indo- Pak border at the line of control as a young Lieutenant. 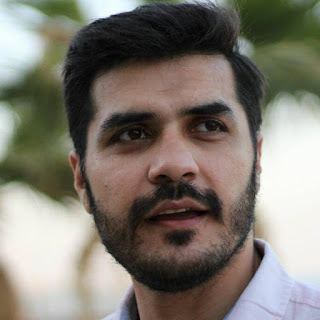 He did his first play when he was 5 years old and now has a huge body of work in theatre including several productions with alumni of the National School of Drama (NSD), thespians such as Tom Alter and Naseeruddin Shah (who incidentally is his father's younger brother). He has also acted in Bollywood films such as FTII alumnus ShriramRaghavan's ‘Agent Vinod’ and Vishal Bhardwaj's‘Haider’. While in Fergusson College, Pune, he acted in several short films with the students of the Film and Television Institute of India (FTII) and also holds a certificate from there. He is also an alumnus of the prestigious IIM Calcutta. He was awarded a commendation card for his exceptional and meritorious service to the nation by being unmindful of his own personal safety and going beyond the call of duty while serving with the Assam Rifles in the North East. He recently completed shooting for National School of Drama alumnus and National award winning director Tigmanshu Dhulia's latest film Yaara. Ali won the coveted award for the Best Actor at the prestigious Delhi International Film Festival, Best Actor at the International Film Festival of Prayag, Best Actor at the Aligarh Film Saaz International Film Festival, Special Jury and Critique's Award as for Best actor at a show organized by in Kerala by Jai Hind TV. He was awarded with the Critique's Best Actor Award in Australia in October this year. 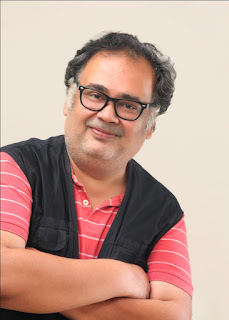 About Producer: A former journalist, Saif Hyder Hasan has written nine plays which have been staged to public and critical acclaim.He has previously directed several plays including Deepti Naval and Shekhar Suman starrer ‘Ek Mulaqaat’, and ‘Gardish Mein Taare’, both of which were smashing successes. The plays were based on lives and love of Guru Dutt – GeetaDutt and SahirLudhianvi – Amrita Pritam respectively. He recently directed Mr. and Mrs. Murarilal starring Satish Kaushik and Meghna Malik.